(Reuters) – England Women smashed over 200 runs for only the second time in a Twenty20 international as they beat Sri Lanka to complete a 3-0 series whitewash in Colombo yesterday. 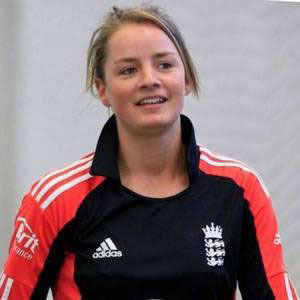 Danielle Wyatt made 33-ball 51 and fellow opener Amy Jones scored 57, while Natalie Sciver and Tammy Beaumont stitched an unbroken 88-run partnership for the third wicket in the tourists’ 204-2. It was England’s second-highest total in the shortest format of the game behind only the world record 250-3 scored against South Africa Women last June in Taunton. Only three Sri Lankans reached double figures as they laboured to 108-6 in 20 overs, handing England a 96-run victory. The win was England’s 10th in a row as they complete a successful tour of India and Sri Lanka. England were 2-0 down in the one-day series in India but won the dead rubber and went on to clinch the T20 series 3-0. 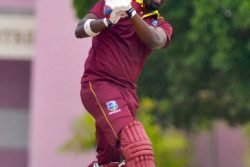 Heather Knight’s side continued their run of clinical performances to beat Sri Lanka 3-0 in the one-dayers that preceded the T20 clean sweep. “We talked about imposing ourselves on Sri Lanka and be quite ruthless,” England coach Mark Robinson told the England and Wales Cricket Board website. England will next host West Indies in June before taking on rivals Australia in the Women’s Ashes series.